Ahh…the dreaded word that many business owners HATE hearing, ESPECIALLY the introverted ones–NETWORKING! Some people love it and thrive on it…others not so much. Many business owners are extroverted–they love socializing, love crowds, love small talk. Others, not so much. There are a lot of introverted business owners out there, especially now in the days of the online world, allowing business owners to work from home and still work with clients and be introverted all at the same time. There are all different levels of introversion, some are much more comfortable socializing than others. The one aspect of introversion that’s the same in all types of introverts, however, is that there is some level of discomfort making small talk with people they don’t know, and it’s exhausting to socialize with a large amount of people. This makes networking difficult. Networking is one of the best ways for almost all types of businesses to get business, build relationships with other business owners and potential clients, and to get long-lasting and loyal clients. Therefore, many introverted business owners, salespeople, and entrepreneurs build up all their energy and go out into the world of socialization, small talk, and business owners to better their business. But don’t fret, fellow introverts! There are ways to help you network, and there are even ways that you might actually enjoy it. Find the right group – This is by far the most important tip. With so many options for networking groups and events out there, you have plenty to choose from. Go visit some of them after looking into them, and find a group where you feel comfortable. 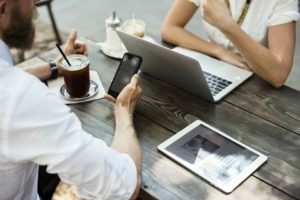 You might feel more comfortable with a casual group who have strong connections between the members, or you might feel more comfortable in a group that gets down to business in a more strict environment. Some groups require you to “open network” the whole time, and others have strict meeting schedules, which may be better for an introverted person. 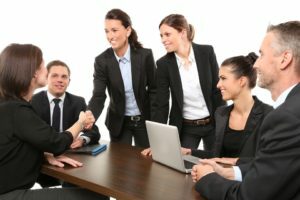 You won’t get stuck in a long conversation filled with small talk in this situation, and you will be guided through the whole meeting, so you won’t have to risk getting stuck wandering around aimlessly looking for people with whom you might have something in common (or whoever makes eye contact with you first). Find your people, build your village! – Similar to finding the right group, spend some time online checking out networking groups and the business owners in them. Consider looking into networking groups on Facebook or LinkedIn and talking to the members on there. Get to know some that you like in groups with industries that complement your own. Once you find people with whom you jive, head into their networking meetings, and you won’t feel like such a stranger! Find the type of event you’re comfortable withnetworking – Let’s be honest, some people network best when they have a little social lubrication (alcohol), so the best events for them are aren’t so comfortable in this relaxed and social of a setting and will do best in a very organized morning networking group that has regular meetings. This allows you to get to know the group of people, so you will be more comfortable going to meetings weekly! Practice – Practice introducing yourself (or consider bringing a friend or colleague to start up conversation with people for you so you can just insert yourself into conversations! ), and practice your elevator speech! Know exactly how you want to describe your business so that you don’t get tongue-tied and flustered when you are asked what you do! Collect business cards – Always get business cards from people, and write little notes on the back so you can remember who a person is and specifics about the conversation. This will allow you to follow-up later and better discuss things once you’ve had a chance to think through the whole conversation and maybe in a setting with way fewer people. Don’t forget to always, always follow up with people you meet at networking events or meetings! I know, networking is difficult when you’re introverted, even if you’re only a little introverted, but there are ways to network that you might actually enjoy, and you’ll meet a ton of really awesome people in the process (and hopefully get a bunch of new business)! 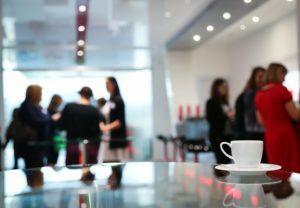 Want help networking? I fell in love with it years ago, and since then, I have built groups of my own–in-person and Facebook groups–and I am grateful to also be the president of my local BNI chapter! Feel free to contact me for help networking or finding groups that are good for introverted (promise, there are a lot of us introverted networkers out there! )!